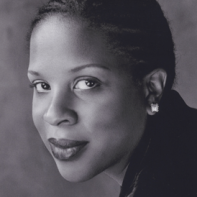 Tayari Jones is the author of Leaving Atlanta and The Untelling, winners of the Hurston/Wright Legacy Award and The Lillian C. Smith Awards, respectively. Jones's work has appeared in McSweeny's, Callaloo, The New York Times, New Stories From The South, and The Believer. Jones is both a writer and a professor of creative writing, and holds degrees from Spelman College, Arizona State University and the University of Iowa. In Fall 2007, Jones joined the newly-established MFA faculty of Rutgers University—Newark, one of the most diverse college campuses in the country. Rebekah Richgels, Fiction Editor, had the opportunity to interview celebrated author Tayari Jones. She says of the experience, "I was excited to interview Tayari Jones because she graduated from Arizona State University's MFA program and has close ties with the school and the Creative Writing program. I love reading her work because her settings are so realistic and her characters are universal, so I can see a part of me in each of them. I was able to develop my questions by reading her novels and previous interviews. Ms. Jones was a very gracious interviewee and I appreciate all her time and effort." Superstition Review: Your first novel, Leaving Atlanta, was published in 2002, and your second novel, The Untelling, was published relatively shortly after that in 2005. How easy was it to produce another novel so quickly, and what kinds of pressures did you feel? Tayari Jones: Actually, I finished LA in 2000‚ it was my MFA thesis at Arizona State. It only *looked* like I was able to get my second novel out quickly. The real situation is that my editor was on maternity leave, so the book was held up at press. I was so impatient at the time... I wanted to be a Published Author, but that gift of two years between completion and publication really gave me a chance to get my second novel well under way before I had to face the pressure and insecurity that comes along with publishing a first novel. SR: In one interview you gave you talked about how bookstores are categorizing authors, for example,"African-American," Gay/Lesbian," and "Southern." Do you see yourself and your writing in any category? How do you feel about literary categorizations? TJ: I don't know if I write in any particular category, but I know that I am read in various categories. I have to say that it doesn't bother me much. Sometimes, I worry that this fear about categories is really the manifestation of internalized ideas of inferiority of certain groups. I mean, you don't see Updike complaining about being seen as too white or too male. I am happy to be a black woman southern writer. I don't have any trouble with being identified as such. I do have a problem with people who see my categories as a slur, or people who don't understand that saying I am a black woman southern writers is another way of saying that I am a beautifully human writer. SR: In that same interview, you talk about the way you write dialogue, and how it uses idiom more than written accent to convey speech patterns. How important is dialogue to your characters, and how much work is it getting the dialogue just right? TJ: I am a big fan conveying speech patterns through idiom and I want to thank you for not using the word "dialect" in your question. Spelling a character's words phonetically and describing the speech pattern as "dialect" is another way of putting the character into a subordinate place relative to the reader. I can't stand it. It is important to me to get the speech of characters are real seeming and accurate as possible. When I am near the end of the writing process I read the passages out loud again and again. Anything that feels funny in my mouth gets cut. SR: One of the things that stood out to me when I read The Untelling was how your characters span many ways of life—crack addicts, widows, May-December romances—and personal beliefs—financial, political, familial. Can you talk a bit about your system for creating and developing characters? TJ: I don't really have a system for developing characters. I kind of let my mind run wild and see what I end up with. I learn who the characters are by writing what they have done.It's much like meeting people in real life. You can't very well hand a person a questionnaire. You get to know people by spending time with them. This is how I write my books. I am starting to think it's not the most efficient method—It takes me SO LONG to write novel, but it works for me. SR: The Untelling has been described as a "woman's novel" because it deals with issues like infertility. What is your reaction to that label? TJ: Again, I don't worry too much about labels. I like women. I am a woman. The book is what it is. I am very careful not to say something like "This book isn't just for women!" I think that using the word "just" is demeaning to the readers who happen to be women. I will say that some women enjoy and identify with my books, as do some men. You know, I will pay an interviewer to ask a prominent male writer how he feels about being thought of as a man. He will be so confused,because I bet he has never thought too much about it. I think that is because he has never been made to feel limited by it. SR: You said in another interview that you had originally set The Untelling in Phoenix but changed your mind because you weren't able to access the city's histories and metaphors. Could you elaborate on that? How do you go about accessing those things? TJ: Well, I just felt that the prose was flat, the descriptions were very on the surface. When I write about Atlanta, I can write about the Atlantan habit of changing street names all the time.When I drive down MLK, I know it used to be Hunter Street. When I am in Phoenix on Baseline Road, I have no idea why it's called Baseline. There could be irony in my story that I am not even aware of. It was like writing in the dark. SR: Aside from being a writer, you also teach creative writing. Please talk a bit about that. Why do you teach? What have you learned from it? What is the one lesson you try to impart to your students? TJ: I got into teaching mainly because I needed a way to support myself. I was living on just my writing for a couple of years, but it was a difficult life. I didn't have health insurance, for example. But more significantly, I had to use my writing as a meal ticket. As my mentor Pearl Cleage said once, "I want to get paid for my writing, but I don't want to have to write for money." Teaching seemed like a good gig for me. For one, I enjoy it. My parents are both college professors, so the academic life is very comfortable to me. Also. I like young people. I don't think I have a Big Lesson I try to share with my students. I share with them what I have at the time, based on their needs.The job is different every day. Every term I have new students. That's what keeps it interesting. SR: How much of an influence does music have on you and subsequently on the writing you produce? One of the most intriguing things I've read about your work is that you attempt to convey a duet with one novel. What did that entail? TJ: Well, I tried to write The Untelling in such a way that it felt like a duet between voice and trumpet. I played this song "La Chanson Des Vieux Amants" about a million times. I don't speak French, I don't know what she is saying, but the longing in her voice made me think of Aria, the main character in The Untelling. Aria runs on such emotion and I imagined the trumpet part being another voice in the story that runs counter to hers. I wasn't quite able to pull it off, but listening to the music really helped me. SR: Since music and art influence your work so deeply, have you ever considered trying other mediums, or even other literary genres? TJ: Nope. I think I'm what you might call a One Trick Pony. SR: Your website is also home to your blog. Do you find that blogging is just another writing assignment to keep up with, or is it a nice diversion from working on things to publish? TJ: I love blogging. I started at the urging of my publicist, but it has become a community of sorts. One of the things I do with the blog is try to get information out there to other people who want to write. When I published my first novel, I realized that publishing is something of a clique. Folks who are in the know pass opportunities around amonst themselves. I mean, how can someone from outside apply to a program or apply for a grant or residency if she doesn't even know they exisit? One of my goals to open up the door for other people. In return, my blog community is very kind tome. They sometimes send me care packages and other times, they send me encouraging notes that always seem to arrive right in the nick of time. SR: What have you been working on since the publication of The Untelling? TJ: I am working on a novel. The title changes so much that I am afraid to list it here. But I'm about 7/8 of the way through. There was a time when I thought the novel had died on the vine, but I have nursed it back to health. For this I am very very grateful.